The billionaire Koch brothers’ political network wants to show it will punish Republicans who don’t support its agenda. Rep. Lou Barletta, one of President Donald Trump's favorites, is now a target of the Koch brothers. A Koch brothers-backed nonprofit is targeting one of President Donald Trump’s favorite members of Congress as part of a new ad buy slamming House members who supported a $1.3 trillion spending package earlier this year. 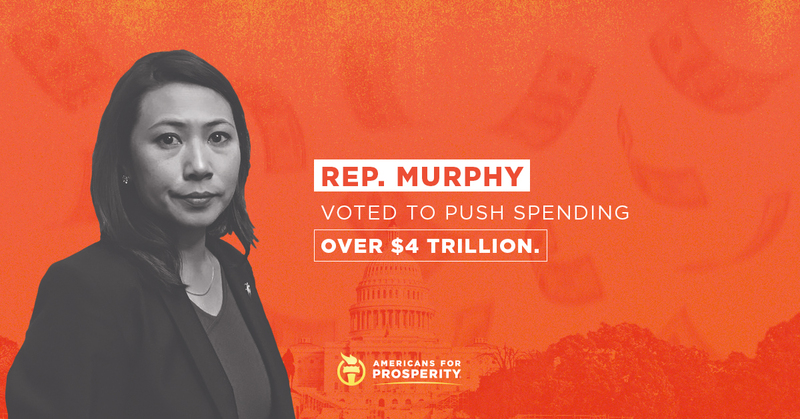 The six-figure effort from Americans for Prosperity is set to begin over Memorial Day weekend and includes direct mail, digital, radio and print ads aimed at 10 Republicans and seven Democrats. Among the GOP members is Pennsylvania’s Rep. Lou Barletta, the Republican nominee challenging incumbent Democratic Sen. Bob Casey in November. Barletta became famous for leading a crackdown on illegal immigration while mayor of Hazleton more than a decade ago and was personally encouraged by Trump to run for the Senate. The expansive spending package narrowly passed the House and survived a brief veto threat from the president. The goal of the new campaign is to ensure that the next spending deal includes significant cuts to government spending. The Koch brothers’ expansive political network spent heavily to help the GOP win and retain control of the Senate in 2014 and 2016, and it’s highly unusual for them to attack a GOP Senate candidate in a swing state, even if most handicappers consider Barletta an underdog in November. Former Koch network operatives are also ubiquitous throughout the Trump administration and the group pushed aggressively for the GOP’s tax reform plan. But the network’s leaders have become more open about their frustrations that the president and his party aren’t following the network’s libertarian-influenced policy preferences on immigration, trade and government spending. Earlier this month, the group’s Hispanic outreach arm, LIBRE, sent out mailers thanking four Democratic lawmakers for their work to protect Dreamers. This isn’t to say that the network, which has spent billions to advance conservative policies and elect Republicans over the past decade, is suddenly turning bipartisan. While they’re attacking Republicans like Barletta and vulnerable Michigan Rep. Mike Bishop, for example, they’re also slamming Democratic Rep. Beto O’Rourke of Texas, who is challenging GOP Sen. Ted Cruz this fall, and hitting Florida Rep. Debbie Wasserman Schultz, the former chair of the Democratic National Committee. 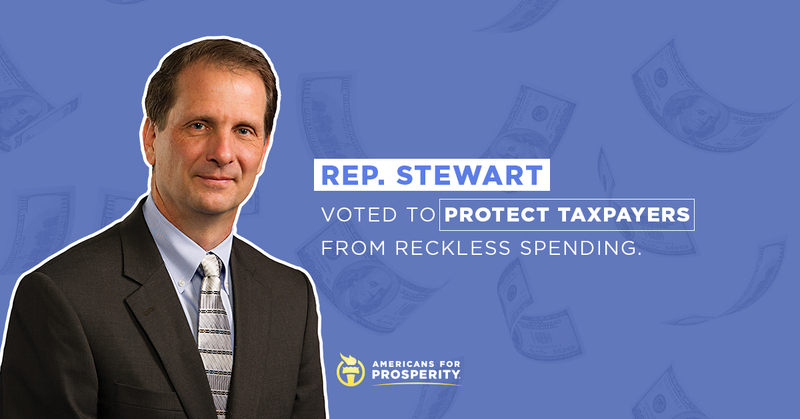 And they’re also spending money on ads and direct mail thanking a large group of vulnerable Republicans who voted against the spending package, including Reps. Marsha Blackburn and Jim Renacci, the GOP nominees for Senate in Tennessee and Ohio; and Reps. Mike Coffman of Colorado and Rod Blum of Iowa, who are both top targets for the Democratic Congressional Campaign Committee. Other members targeted by the campaign are GOP Reps. Hal Rogers of Kentucky, Mike Simpson of Idaho, John Carter of Texas, Robert Aderholt of Alabama, Mark Amodei of Nevada, Jeff Fortenberry of Nebraska, Tom Rooney of Florida and Ken Calvert of California, as well as Democratic Reps. Stephanie Murphy of Florida, Pete Visclosky of Indiana, Tom O’Halleran of Arizona, Henry Cuellar of Texas and Matt Cartwright of Pennsylvania. The ads are also thanking Republican Reps. Dave Brat and Tom Garrett of Virginia, Steve Pearce of New Mexico, Chris Stewart of Utah, Jason Lewis and Tom Emmer of Minnesota, Glenn Grothman of Wisconsin, Andy Harris of Maryland and Ted Budd of North Carolina.